Theodor Seuss Geisel was born in Springfield, Massachusetts, on March 2, 1904, and grew up to write some of the most outrageous and original stories of all time. The inventive rhymes, colorful illustrations, and imaginative characters that populate Dr. Seuss’s books have delighted readers for generations and spawned movies, museums, theme parks, and more. Read on to learn more about the man behind The Cat in the Hat. And to Think I Saw It on Mulberry Street, the first of more than 40 stories Geisel published, was turned down 27 times before a publisher finally gave it the green light. The story, which follows a boy named Marco as he fantasizes about the imaginary people and vehicles he spots while on a walk, is, in part, an homage to Geisel’s hometown of Springfield. Mulberry Street actually exists in the western Massachusetts city and is less than two miles from his childhood home. Springfield also houses the museum dedicated to Geisel’s life and is filled to the gils with his outrageous characters and iconic illustrations. Interactive displays, several archival items, a replica of Geisel’s sitting room, and more allow visitors to immerse themselves in his colorful world. The museum recently endured a controversy after a mural of an illustration from And to Think I Saw It on Mulberry Street was deemed racist. Geisel made an Academy Award-winning documentary film with his wife, Helen Palmer, called Design for Death in 1947. It is about World War II Japan, propaganda, and Pearl Harbor. One of Geisel’s stories, Gerald McBoing Boing, was made into an animated short and also won an Oscar in 1950. Brewing was a family business for the Geisels, but his father was forced to shutter the family brewery when Prohibition went into effect in the early 1900s. His father would go on to become the park supervisor in Springfield, but this wasn’t the last time alcohol laws would play a role in the younger Geisel’s life. As a student at Dartmouth College, Geisel was caught drinking gin with a group of friends. Consuming alcohol was still illicit under Prohibition, and Geisel was subsequently banned from participating in extracurricular activities. But the future icon didn’t want to give up writing for the school’s humor magazine, The Jack-O-Lantern. 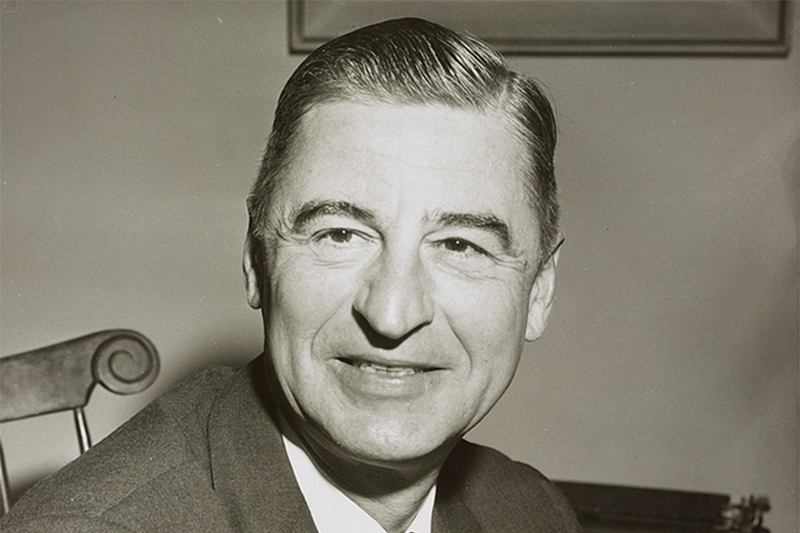 And so, instead of backing down, Geisel changed course and began writing under a pen name: Seuss. Clearly interested in political cartoons, Geisel took up a job creating Allied propaganda illustrations and videos during World War II. Not only did he draw them, but he also wrote all the content and even included some of his signature rhymes. He published cartoons in PM, a New York newspaper that ran from 1940-1948. Some of his depictions attacked Adolf Hitler and the military officer Charles Lindbergh, while others encouraged people to buy stocks and bonds to help the U.S. economy stay afloat during the war.